Obstructive sleep apnea (OSA) is caused by repetitive partial or complete obstruction of the upper airway, characterized by episodes of breathing cessation during sleep, which last 10 or more seconds. The prevalence of OSA varies widely depending on the demographics of the population studied, the definition of the disorder and the methods of diagnosis. 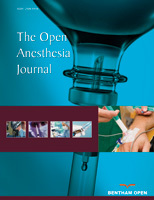 Patients with obstructive sleep apnea can be a potential management challenge for the anesthesiologists during the perioperative period. Therefore anesthesiologists need a thorough understanding of the diagnosis of OSA, prevalence of OSA and the available screening tools.